If you are planning on visiting Raja Ampat in West Papua, you will most likely be flying into the city of Sorong in West Papua. Since my last visit at the end of 2017, it is only right that I do a review of the Raja Ampat airport which is called the Domine Eduard Osok airport. 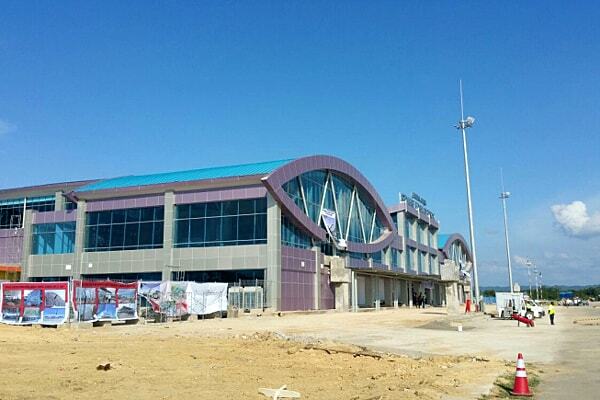 Sorong is the capital of West Papua and flights from selected cities around Indonesia will land here. 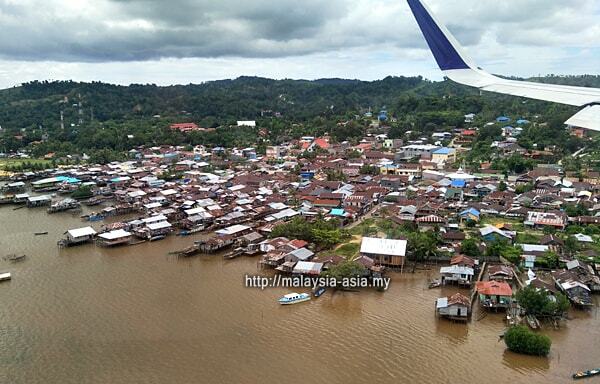 From Sorong, you will either connect on another short flight to Waisai airport or most likely be taking the fast boat or ferry to Waisai from the harbor here. So, what can you expect at the airport in this part of the world? To my surprise, I was actually very impressed and if you are planning to visit the Raja Ampat Islands, then you should read on. First of all, there are two main airports that service the Raja Ampat Islands, the Domine Eduard Osok airport in Sorong, which is the main airport that is connected to other major cities in Indonesia, and the smaller Marinda Airport in Waisai, which is connected by smaller aircraft from smaller cities. 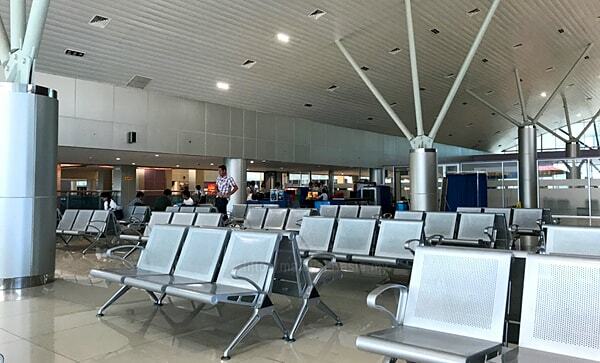 When your flight lands at the Domine Eduard Osok airport (SOQ), you will most likely have a second look as the airport building as is quite modern designed, which easily attracts anyone's attention. The airport name comes from one of the renown pastors from Sorong and West Papua, where Domine Eduard Osok (1920-1988) did a lot of missionary work spreading Christianity here. Hence it was right to name the airport after the pastor, as he is well known among the locals here. During the renovations of the Sorong airport The Domine Eduard Osok is also a single runway airport with a total length of 2,500 meters and 45 meters wide, and capable to accommodate small turbo prop planes, Boeing 737 series and Airbus A320 series. Anything bigger is unable to land here. There are also only tow main airport gates that service the many airlines that land here. 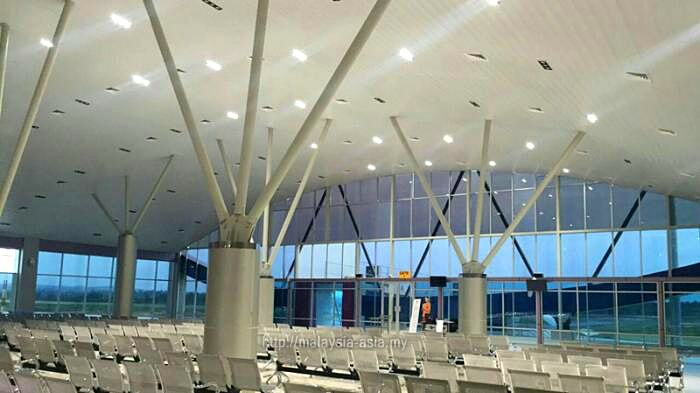 And the boarding gates are connected to two modern glass and steel structure aero-bridges for the larger wide bodies aircraft like Bombardier, Airbus and Boeing planes. 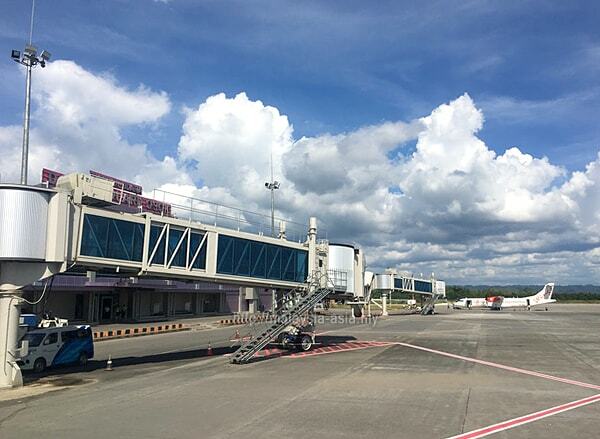 Modern aero-bridge at the airport In 2017, Domine Eduard Osok Airport or DEO served a total of 2.3 million passengers, making this the busiest airport in the far east of Indonesia. The original runway of 1,950 meters was extended to 2,500 meters in 2016 to meet the larger passenger aircraft like Boeing and Airbus. With a modern structure that is designed to resemble local culture, the futuristic design makes the Domine Eduard Osok Airport look up to date in this part of the world. 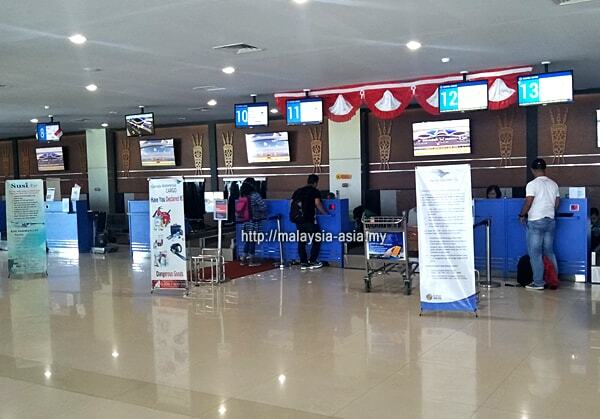 The modern check in counters at the airport The new look was also finally completed in March of 2016 after a five year renovation, and at a cost of 236 Billion Rupiah (USD$16.5 Billion). In terms of the overall design of the airport, it culturally reflects the unique Betel nut, which is very popular in this part of the world. 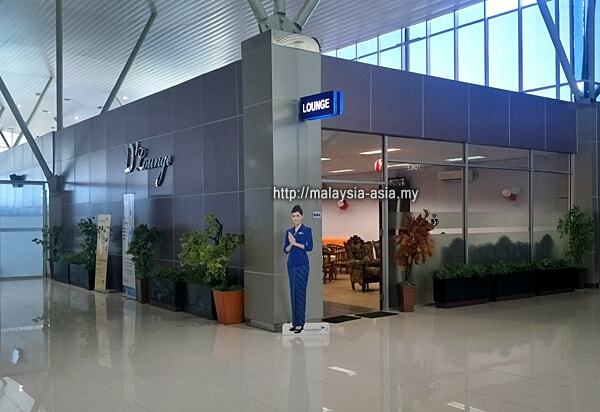 This is also one of the 54 airports from all over Indonesia. 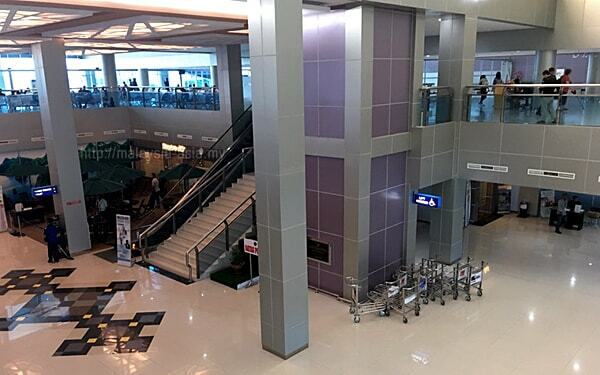 The airport consist of two floors with international air travel facilities like luggage x-ray machines, walk through metal detectors, baggage handling system, elevators, waiting lounges and modern designed retail and F&B shops. The main passenger terminal building is also huge, with a total space of 13,700 square meters and can accommodate 782 passengers at any one time. 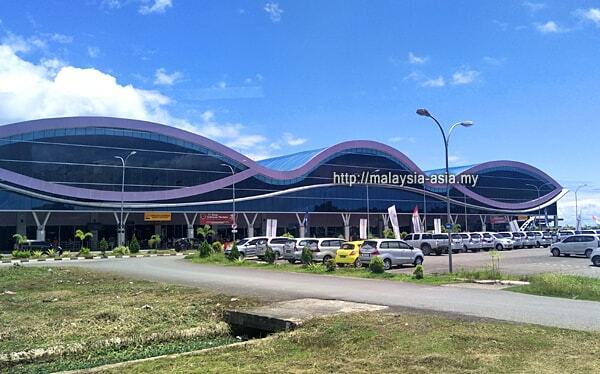 A massive parking area has also been dedicated outside the airport. The modern boarding area at Domine Eduard Osok Once inside the airport, you will be pleased to know that the flow of passengers is similar to any other international airport around the world. Check in counters are aplenty with modern designs with a queueing system for respective airlines. Before you arrive here, you will be greeted by friendly airport personal manning the conveyor belt luggage scanning system. The waiting lounges are modern designed with ample space for seating. Retail shops are found on the second floor of the airport and offer quite an interesting choice for travelers. Sehat Bugar Reflexology at the Sorong Airport There are modern coffee cafes, bakeries, local cafes, food massage and a lot of souvenir shops. 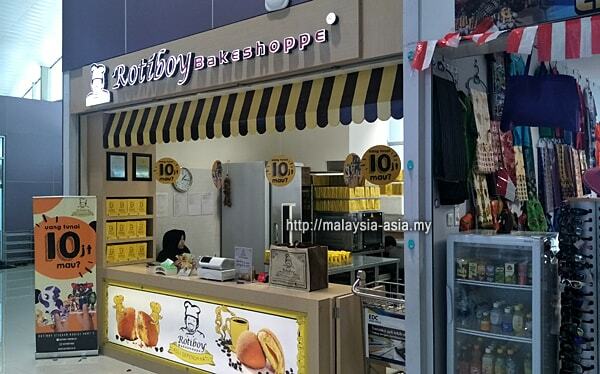 Generally, you can keep yourself busy here due to the decent selection of shops at the airport. While I was waiting to fly out of Sorong, I have to thank my trip organiser for arriving early as this allowed me to explore the airport on my own. Due to the excess time we had, I even managed to go for a 30 minute foot massage which was timed perfectly before my flight. The verdict? It was awesome, a true Papuan foot massage, a first for me. A quick bite cafe and a souvenir shop at the airport The souvenir shops are not to be missed as this is the best place to get your West Papua souvenirs. Mind you they are actually quite reasonably priced, unlike those in Bali. I managed to snap up quite a bit of souvenirs from here as I visited all five souvenir shops here. Item you can find are local ethnic jewelry, Papuan fabrics, paintings and many other unique Papuan souvenirs. Waiting lounge area at the Raja Ampat airport For coffee lovers, you must know that the Papuan coffee is one of the best in the world, and at some of the souvenir shops, they are being sold mostly in beans. You can find some instant Papuan coffee too. And the best part is that you can walk into one of the coffee cafes to sample the local Papuan coffee which is highly recommended. Domine Eduard Osok Airport Lounge A premium lounge is also available for business travelers, however, I did not have the opportunity to visit this place. From the outside, it looks really nice though hopefully one day I will have the opportunity to visit this lounge. Toilets are very clean and well kept as they have round the clock staff to continuously maintain the washrooms. I have to highlight this as some of you may have encountered airports with horrible toilets. Here is a photo of what the old Raja Ampat airport in Sorong looked like A 'Surau' or prayer room is also available for those wanting to conduct their prayers at the airport. Other than that, the Sorong airport is very modern, clean and with a great design, considering this is in Raja Ampat, West Papua. In total, there are seven airlines that operate flights into Raja Ampat, however for foreigners, there are four main airlines that operate from the commercial airports around Indonesia. 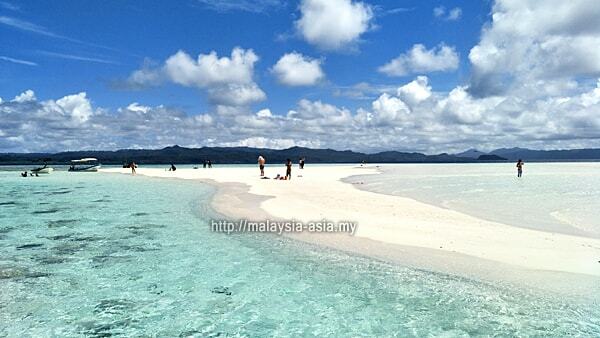 I also did an article on what airlines fly to Raja Ampat for anyone wanting more information. Just to add that you need to really check your connecting flights as most of the direct flights to Raja Ampat depart in the mornings. 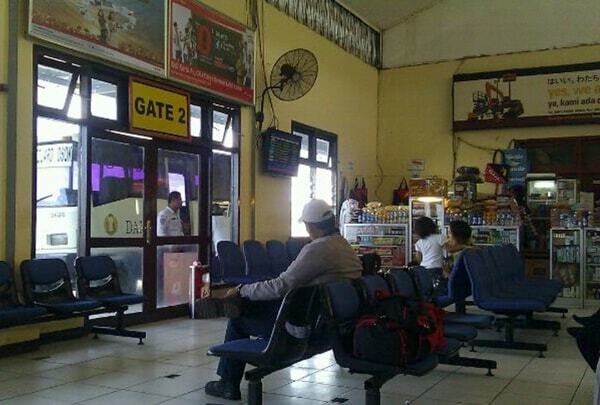 In some cases, you may need to spend a night at your connecting city in order to catch the early flight to Sorong. Pasir Timbul, one of the beautiful places to visit in Raja Ampat Sorong is also a tourist destination as there is much to explore, see and do around here. While I did not have the opportunity to do so, I do have plans to re-visit Sorong once again. The next time around, I would love to explore Sorong for some nature, adventure and of course to do some serious bird watching at Raja Ampat . Hopefully I can do it in late 2018 and then I can share additional information with you about what to do in Sorong. Meanwhile, for those wanting to visit here, I did an article on how to get to Raja Ampat with a lot of information on flights and boats. 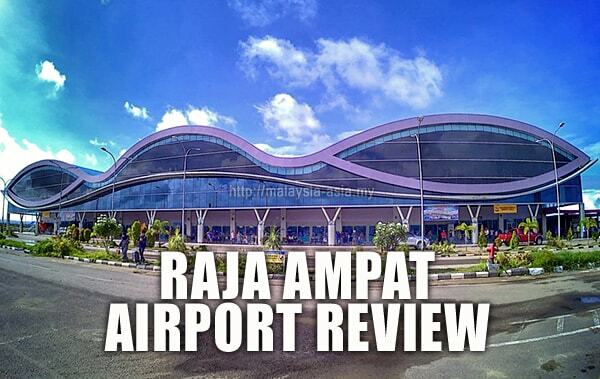 And for those planning to visit this amazing destination, I do hope you find my review of the Raja Ampat airport helpful. If you have any experiences here, please do share them in the comment form below. April 10, 2018 at 7:54 AM What are the Airlines that fly to Raja Ampat?